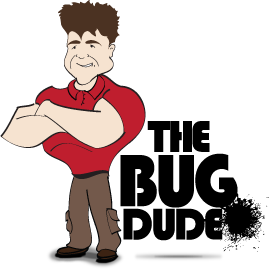 The Bug Dude provides professional pest control in Fort Worth for all of your pest control needs. It seems we are consistently learning of new vectors of disease in the U. S., illnesses’ that appear to be occurring in both vectors that were previously unaffected, or appearing in invasive species who have migrated to the U.S. from other areas. Chagas disease, also called the kissing bug disease is yet another disease the resident of the southern U. S. must now be alert for. Residents of Texas and the entire southern U. S. have a new risk factor for a parasitic disease that can lead to severe heart disease and death. Kissing bugs transmit Chagas disease (also called American trypanosomiasis) by feeding on the faces of humans at night. Chagas was once thought limited to Mexico, Central America and South America. New evidence is emerging of locally acquired human transmission in Texas, according to studies, two of which were authored by Melissa Nolan Garcia, a research associate at Baylor College of Medicine in Houston. The disease is spread mainly by insects called Triaominae or kissing bugs, through the feces of infected bugs containing the parasite Trypanosoma cruzi, which can enter the body through breaks in the skin. Chagas disease can also be transmitted through blood. With no vaccine available, preventative measures and professional pest control in Fort Worth comprise the most effective means of preventing this illness at the present. All triatomine nymph instars and adults are haematophagous (blood sucker) and require a sheltered environment where they gather. Most species are found with wild vertebrates and live in ground burrows with rodents, armadillos, or in tree-dwellings with bats, birds, or opossums. They will sometimes invade homes, especially in rural or suburban areas. The Bug Dude can provide professional pest control in Fort Worth for the appropriate treatment of these vectors of disease. Adult kissing bugs produce a pungent odor when disturbed, and are also capable of producing a sound. All 138 Triatominae species are potentially able to transmit Chagas disease to humans. In a pilot study, Garcia’s team examined 17 blood donors in Texas who tested positive for the parasite that causes Chagas disease. “It’s a silent killer. People don’t feel sick, so they don’t seek care, but it causes heart disease in about 30 percent of those who get infected”, she said. A third study found that most people infected with Chagas aren’t treated. Just how many people are infected with Chagas is unknown, as persons are rarely tested for it. Between 2007 and 2013 nearly 2,000 persons’ blood tested positive for Chagas. The CDC provided only 422 doses of medication for the infection, leaving most of those identified without treatment. Symptoms of Chagas can range from no symptoms exhibited, to severe symptoms with fever, headache, rash, diarrhea, vomiting, fatigue, body aches and severe cardiac, nervous system disorders and intestinal complications. Chagas disease can result in death if left untreated. Currently there is no vaccine available, and treatment is not always effective, with a decrease in response directly related to the length of illness. Drug development is underway, but remains in the investigative phase at present. Currently the two treatments available remain under investigative drug protocol regulated by the CDC. The lack of a current fully effective treatment or vaccine leaves control of the kissing bug in the homeowner’s hands with preventative measures and the provision of professional pest control in Fort Worth. For further information about Chagas disease, visit the U.S. Centers for Disease Control and Prevention. The first goal should be to keep them out of the home, followed by pest control in Fort Worth to kill resident populations. Ensure all exterior doors close tightly without gaps. Replace missing or damaged weather stripping. Repair or replace damaged window screens, crawlspace vents and attic vents. Screens should be considered on roof vents, and chimney vents should include approved wire small enough to prevent the entry of insects. Caulk around openings for utility lines, plumbing and cables. Repair cracks in the foundation or siding that can allow insects to enter. If your property has a heavy infestation, it’s likely that neighboring properties will also be infested requiring professional pest control in Fort Worth. Remove nests of squirrels, birds or other wild animals. Move firewood piles away from the home and use bug light bulbs for exterior lighting where possible. Inspect pets after being outdoors and regularly inspect bedding. Contact The Bug Dude for professional pest control in Fort Worth for the application of the appropriate insecticide to aid in the prevention of the kissing bug disease. Have other pest control needs? Our professionals provide termite inspection, termite control, termite treatment, ant control, bedbug control and much more! Contact us to schedule pest control in Fort Worth today. Thanks for visiting The Bug Dudes bug blog.